Gerry Conlon died on Saturday. He was one of four people arrested, tortured and falsely imprisoned for carrying out bomb attacks in Guildford and Woolwich in England in 1974. His father Giuseppe was also arrested while visiting his son in prison and wrongly convicted of involvement in bomb making. He died in prison. The Guildford 4, the Maguire 7, the Birmingham 6 and others were all victim of a series of grave miscarriages of justice which saw the British police service, judiciary and political establishment conniving in imprisoning citizens they knew to be innocent of any wrong doing. Gerry Conlon, Paul Hill, Carole Richardson and Paddy Armstrong spent 15 years in English prisons under the most horrendous of prison conditions, often in solitary confinement. A public campaign in support of their release eventually succeeded in achieving that in 1989. Following this Gerry became a strong advocate for and campaigner on justice issues. As a victim of injustice he was articulate and tireless in pursuit of justice. His death is a loss to his family and friends but also to all of those who were touched by his courage and who he endeavoured to help. Within hours of his passing former SDLP deputy leader Seamus Mallon sought to score political points against Sinn Fein by accusing republicans of ‘almost conniving’ to keep innocent people behind bars. The British police knew that the Guildford 4 were innocent but they connived to keep them and other innocents in prison. Seamus Mallon’s line of argument, though spurious and devoid of merit, was taken up by sections of the media. The Taoiseach repeated this line in the Dail on Wednesday. Some of this has by now become little more than a well-worn and tiresome routine that is rarely matched by the facts. A column in the Irish Independent: ‘Weasel words from Adams on Conlon case is used as a weapon in propaganda war ‘ is typical. The Indo columnist wrongly claims that: “Gerry Conlon was in jail because the IRA bombed Guildford”. Like Seamus Mallon he ignores the facts. The British police arrested the Guildford 4; tortured false statements from them; and then railroaded them through a judicial process that was unjust and biased. That was the responsibility of the British police. The IRA was responsible for the bombings. They made that clear at the time. It was 1975 and yes the IRA could be believed. In December, 1975, the four IRA Volunteers who became known as the Balcombe Street unit were arrested. Within 24 hours of their arrests they told senior British police officers that they, and not the four people who had been recently convicted - later to become known as the Guildford 4 - were involved in the bombings. The British police said they would look into these claims, but there is no evidence of any further investigation. At the subsequent trial of the Balcombe Street unit it emerged that the forensic evidence had been edited to remove all reference to Guildford and Woolwich. 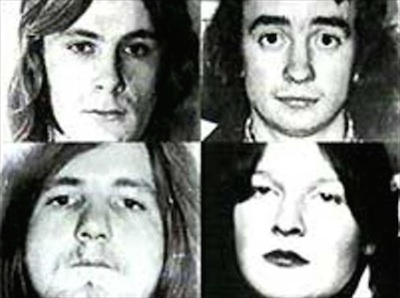 On the strength of legal statements given by members of the Balcombe Street unit, the Guildford Four were eventually granted an appeal in October 1977. At the appeal hearing, with the support they explained later of the IRA leadership, Eddie Butler, Harry Duggan, Joe O’Connell and Brendan Dowd testified that they were responsible for the Woolwich attack. Brendan Dowd also accepted responsibility for the Guildford bomb attack. All of the men said that the four persons convicted of the Guildford and Woolwich bombings had played no part. According to the highly respected British Labour MP Chris Mullin, who campaigned for many years on behalf of the Guildford Four and the Birmingham Six: “So detailed was the Balcombe Street unit’s account that it was not possible to pretend that they had not been involved”. Despite this, the British Appeal Court, headed by Lord Roskill, perversely professed themselves satisfied and upheld the convictions of the Guildford 4. They engaged in what Mullin described as “spectacular intellectual gymnastics” in order to accept confessions obtained under torture and to deny the appeal. This was what another British judge, Lord Denning, speaking of the same case, called the “appalling vista” that would arise should it be proven that the British police had deliberately imprisoned innocent people. None of this is any consolation to the families or the victims of these miscarriages of justice like Gerry Conlon or his family. Neither is it any consolation to the families of the victims or the victims of the IRA bombing. Our endeavour must be to ensure that these events never happen again. Efforts to score political points by distorting or ignoring the facts makes no worthwhile contribution to this.